On a chilly morning, there’s nothing better for warming the tummy and pleasing the palate than a comforting bowl of hearty oatmeal! 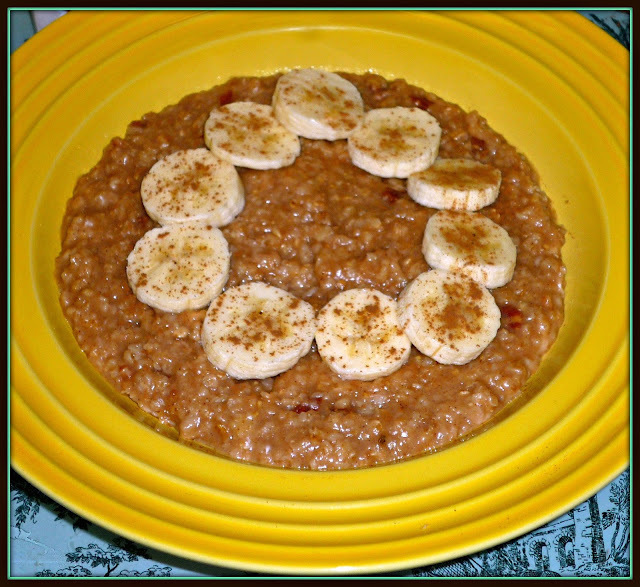 We love oatmeal at my house, so I’m always looking for fun new ways to serve it. I recently created my Banana-Nut Crème Brulee Oatmeal for the Quaker® Oats National "Bring Your Best Bowl" contest. 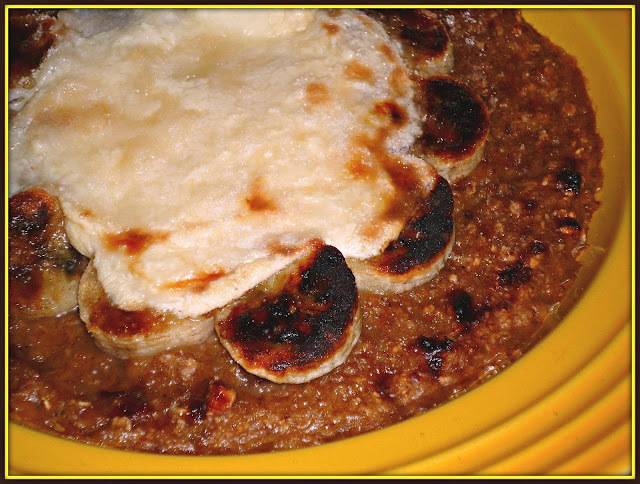 My inspiration for this recipe came from two of my favorite desserts: Bananas Foster and crème brulee. 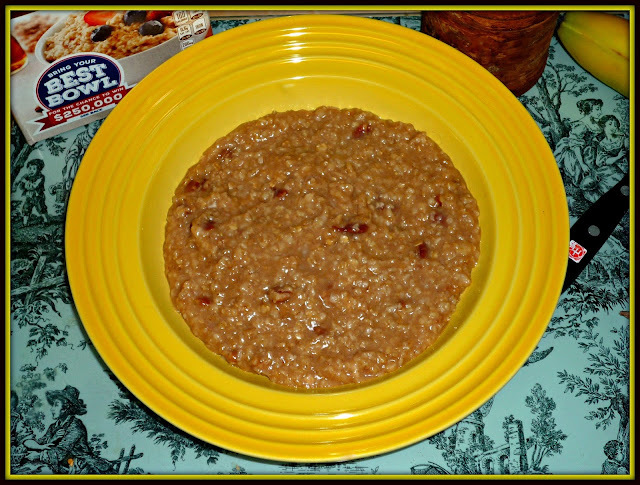 I used Maple Brown Sugar Quaker® Instant Oats flavored with cinnamon and chopped pecans as my base. Then, I topped this flavorful oatmeal with cinnamon-dusted bananas, creamy vanilla pudding, and a crackly sugar topping. 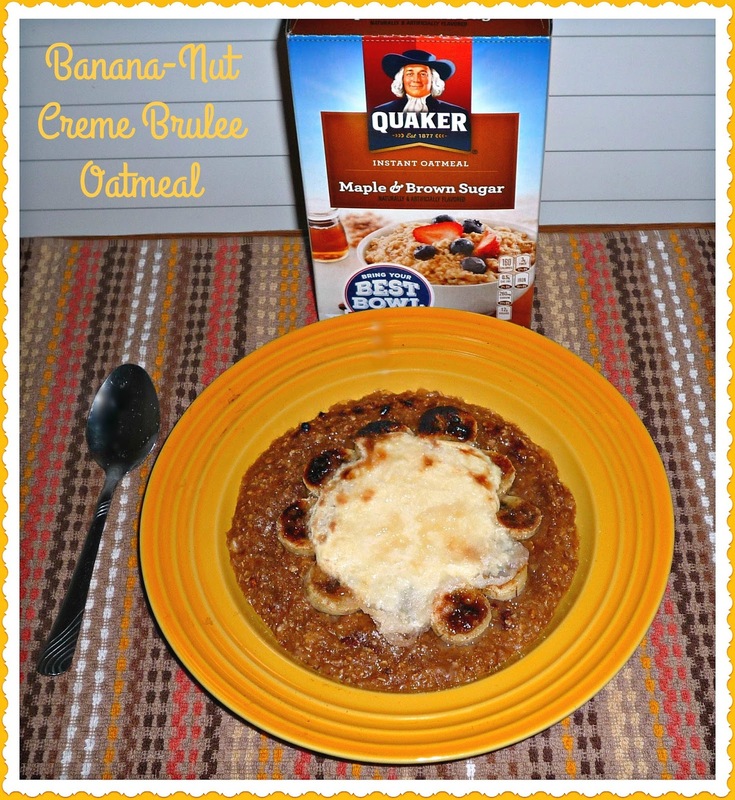 This is a fun and decadent breakfast with just 5 ingredients added to my Quaker® Instant Oats. I purchased all of the ingredients for my creamy dessert-inspired oatmeal creation at my local Target. 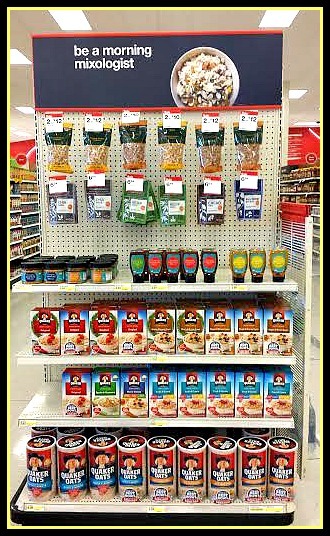 During my visit to the store, I was very excited to see a special aisle end cap display that shared lots of great topping ideas to create an original oatmeal dish! With this inspiration, everyone can be inspired to create their personalized best bowl of oatmeal. 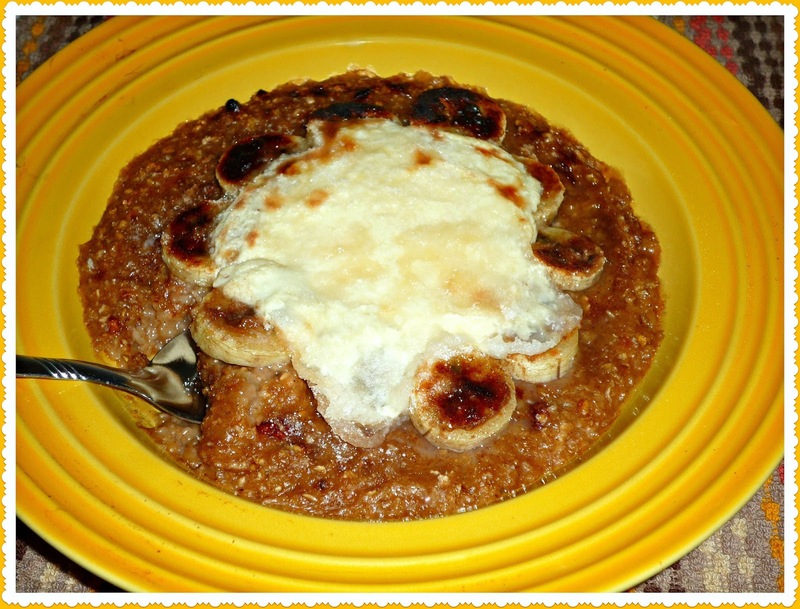 Let me show you how easy it is to treat yourself to a bowl of my Banana-Pecan Crème Brulee Oatmeal. It’s perfect for a relaxing weekend brunch, but it’s also quick enough to whip up for a special weekday breakfast. From start to finish, a bowl of this creamy, delicious oatmeal is ready in less than 15 minutes. One bite, and you’ll be hooked! Step 1: Add the packets of Maple Brown Sugar Quaker® Instant Oats to a small container. Add the water, chopped pecans, and 1 tsp. cinnamon. Stir to combine and cook in the microwave per package directions. Add the cooked oatmeal to the bottom of a shallow, oven-safe bowl. Step 2: Slice the banana and arrange the slices in an overlapping circle in the bowl as shown. Sprinkle with the ½ tsp. of cinnamon. Leave a circle in the middle of the bowl for the pudding. Step 3: Add the vanilla pudding to the circle inside of the bananas. Evenly spread the pudding to make an even layer. Evenly sprinkle the pudding and bananas with the granulated sugar. Turn on the broiler. Cook until the sugar starts to caramelize. Serve immediately. This oatmeal may not be colorful, but it sure is decadent and flavorful! When you spoon breaks through the sugar topping, you’ll be met with a the familiar crème brulee “crack.” Then, your spoon hits the creamy warm layer…then the cooked bananas. Finally, you get to the pecan-studded brown sugar oatmeal. You quickly realize that you have reached breakfast nirvana! All recipe entries must use Quaker® Instant Oats Maple Brown Sugar or Original Flavors, or Quaker® Standard Oatmeal Canisters (Old Fashioned and Quick One Minute). Keep in mind that all contest entries should have between two and five ingredients. Visit the national sweepstakes site to enter for a chance to inspire the next Quaker® Oatmeal flavor!